Project Size 40,000 sq. ft.
CarbonCast Surface Area 7,213 sq. ft. 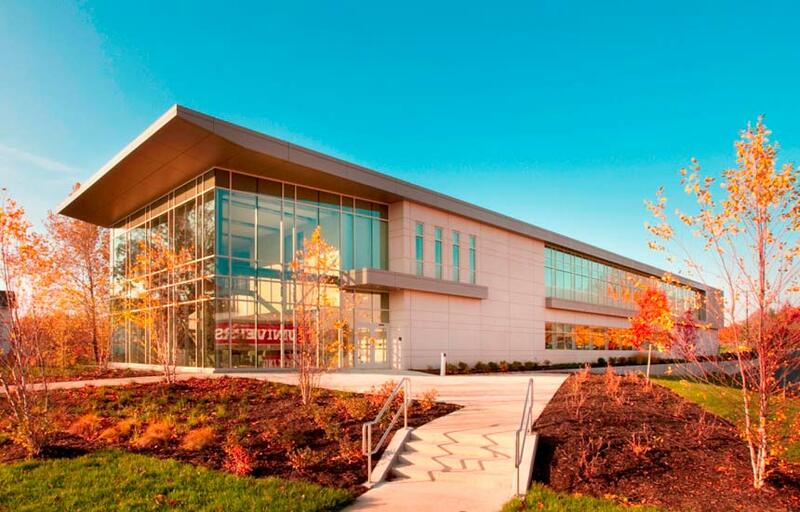 The $10 million, 40,000-square-foot Indiana University Innovation Center, Bloomington, Ind., is a new complex for information technology infrastructure, technology transfer and economic development, part of Research Park and adjacent to main campus. 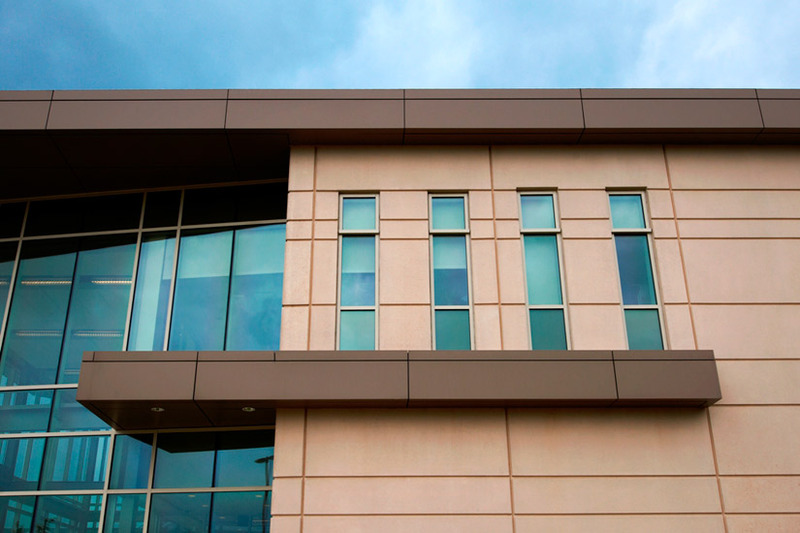 CarbonCast High Performance Insulated Wall Panels were chosen due to their speed of erection, scalability and low cost. 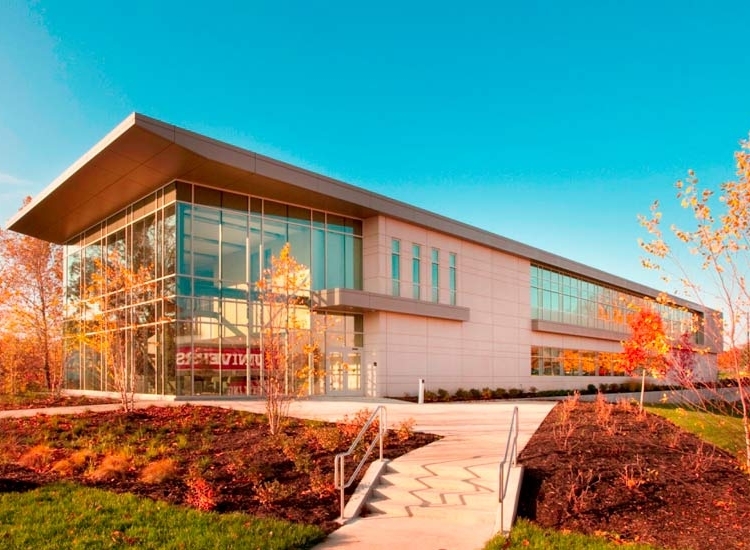 Three months of the intended 15-month inception-to-occupancy schedule had already passed when the project was awarded to the design-build collaboration of Messer Construction and BSA LifeStructures in September 2008. Additionally, the building team was presented in-depth requirements including orientation, serviceability and topography. CarbonCast High Performance Insulated Wall Panels were fabricated off-site in a controlled factory environment and delivered for immediate erection. This eliminated concerns for material and equipment storage, weather delays and other setbacks, expediting construction and allowing other subcontractors ample time to complete their work. The panels form the base of the building according to bay spacing of 21’. Each encapsulates a 3” layer of rigid XPS foam insulation for continuous insulation as defined by the ASHRAE 90.1 energy code. 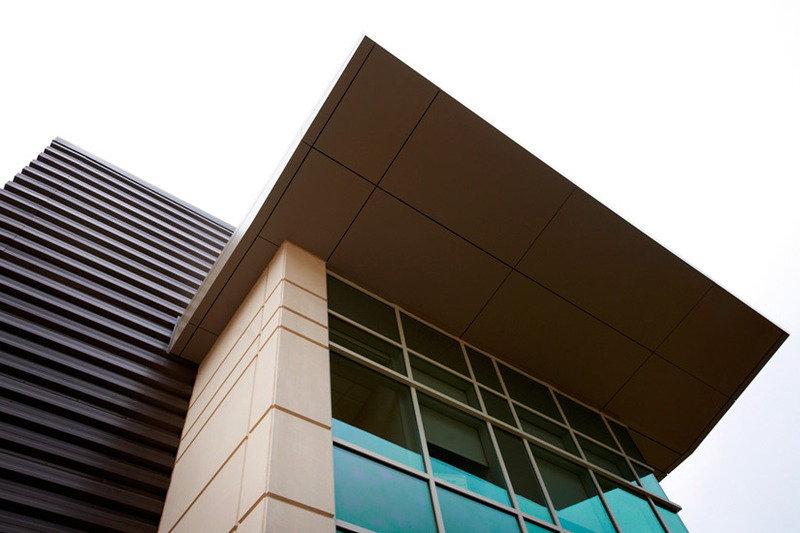 CarbonCast High Performance Insulated Wall Panels utilize C-GRID® carbon fiber grid wythe ties that provide fully composite structural performance with negligible thermal conductivity. The thermally efficient envelope delivers an average R-15. “We required the carbon fiber connector to address thermal bridging concerns,” says Bieghler. Panels appear on north and south elevations. 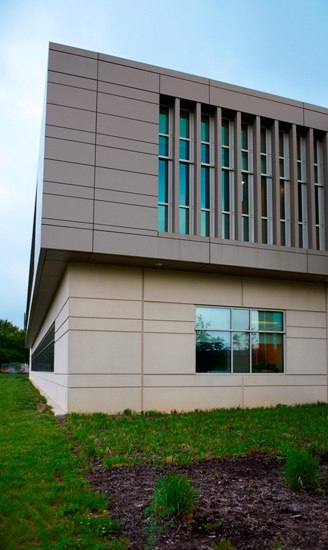 Reveals created in the precast formwork add visual interest to large expanses of the enclosure. As a result of structural spacing and panel sizes, the reveals are too large to look like limestone but still complement nearby buildings. In one vestibule, the precast is turned inside to provide visual continuity and a durable surface for a high traffic area. 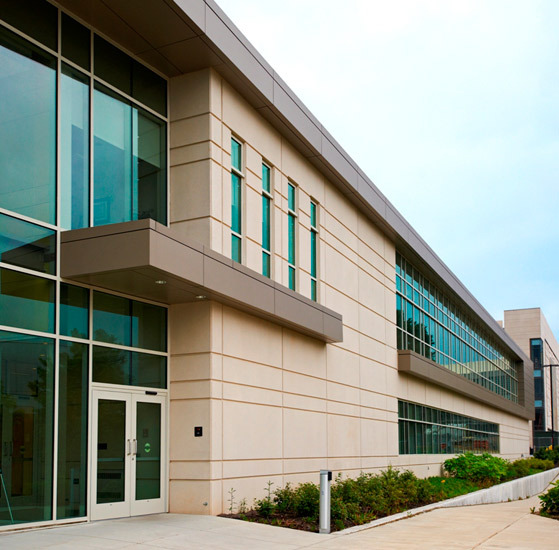 The IU Innovation Center was recognized in the 2011 PCI Design Awards competition as co-winner for Best University Project. “This building was singled out for the ways that it uses precast concrete, both for its forming ability and for its ability to meet sustainability goals that perhaps other materials couldn’t have met. It’s also an interesting piece of architecture. It integrates different materials well into the overall context of the building, and it’s also beautifully integrated into the landscape. It was well put together and nicely detailed. It creates a nice solution for this need,” say judges. CarbonCast High Performance Insulated Wall Panels were fabricated and installed by High Concrete Group LLC, Springboro, Ohio plant.